Newborns are seriously fragile. One moment, baby Olivia had blisters, and the next, she had a phlegmy cough and her appetite dipped. Where did she get the cough from? We had no idea. Was it when we brought her out to church and it rained? Was it spread by other patients when we went to the clinic for vaccination? Was it this, was it that? One thing we know is that a newborn's immune system is still developing, and with every sickness, her body is getting stronger. Of course, theory-wise everything sounds easy, but as (first-time) parents, who doesn't get worried? We brought her to our paediatrician, Dr Tan Kuanyang, but wasn't diagnosed with anything. The lungs and throat were clear, breathing was okay, there's no sign of anything. Not sure if our baby knew how to geh siao (act), but she did not cough a single time when we were at the clinic. Yet the moment we stepped into our house, she started again. We tried 101 things to make the cough go away, like foot massages and chest rubs with Vicks, massaging acupuncture spots, sleeping without aircon, steam inhalation, and pumping the phlegm out from the mouth. As suggested by one of the biggest TCM advocates, my mama-in-law (MIL), we tried TCM prescription and drinking water, which to be honest, my wife and I are super skeptical about. Can a newborn drink water? Like the water issue between Singapore and Malaysia, my wife and her mum quarrelled on most mornings because of this. My MIL tends to feed water to Olivia (behind our back) after her sunbathing session every morning because according to her, the baby sweats a lot. How sneaky. Anyway, we googled and 95% of the sources indicated that there is no need to drink water because 88% of the breastmilk is made up of water. We even asked our paediatrician and confinement nanny, who strongly insisted that no water should be given. Heck, even the World Health Organisation said no, because feeding water to a newborn may lead to water intoxication. On the other hand, other friends who are parents themselves suggested that we feed our baby water. To be fair, their children still grew up strong, smart and healthy. After considering all the options, we decided to give a small amount of warm water to our 1-month+ baby, with a cap of 30ml per day (less than 10ml per feed). No more than that, as it will mess with her breastmilk intake. I mean, if it's going to make the baby's condition better, why not? I also understand that some readers will be like "What?! You can't feed your baby water!". Look, we already went through that phase so you can spare us this. 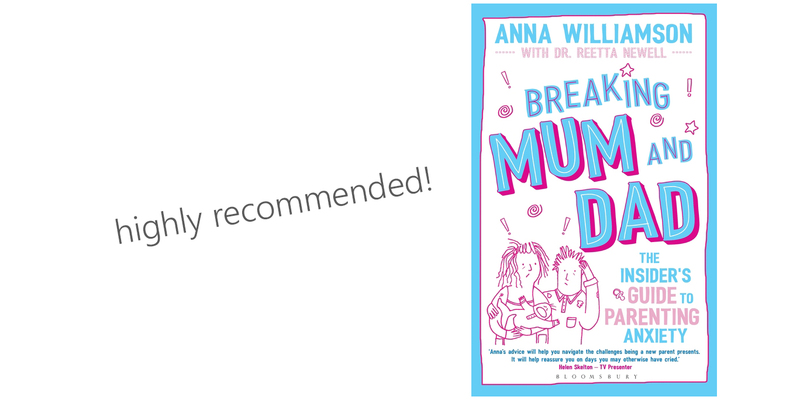 I remembered reading a book on parental anxiety, "Breaking Mum and Dad" by Anna Williamson. Highly recommended by the way. There is one chapter titled "The Know-it-alls", which states that people tend to give you all sorts of advice. Feed water, no pacifiers, co-sleeping, schedule feeding, specific ways to carry the baby and what not. Given their nature, some advice are bound to conflict with another and so on. Sometimes, you might be even pressured to go ahead with their suggestions, because of many reasons. Especially for the elders, they may be angry if you do not listen to them. But ultimately, YOU are the parent, and YOU get to decide what's best for your child (unless you are not in the right state of mind). If they overstep the line and start insisting things against your wishes, do not be afraid to whip out your "Hey, I am the parent." card. Given that they are nice and understanding people, they should respect your decisions. The issue of drinking water (or not) is one of the many decisions we will have to make. I foresee a heck lot more to come (especially when you are leaving with parents), so let us pray for wisdom that we, as parents, can make the right choices for our little ones. As Jeremiah 29:11 puts it, "plans that prosper and not to harm". Here's to another month.